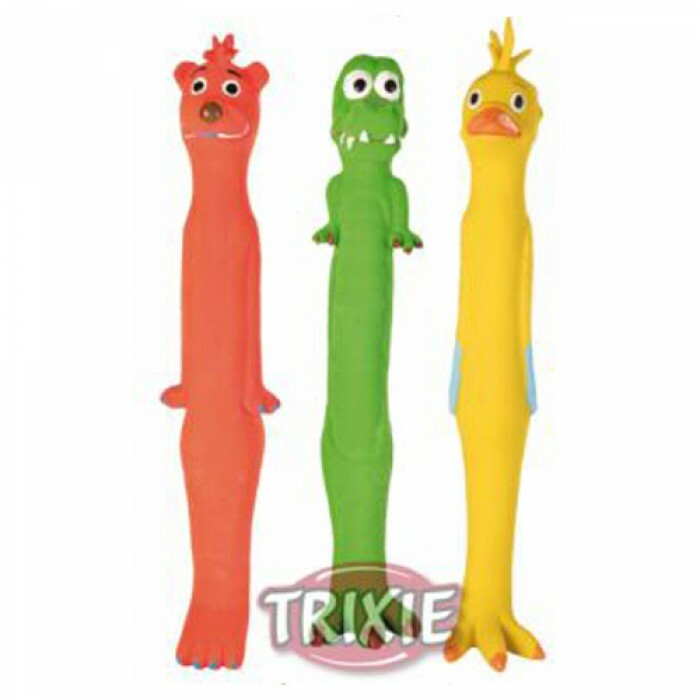 Product Details - Material - Latex rubber , Dimension - 30 cm, Use - Polyester fleece stuffing. Produces squeaky sounds. Easy to clean and maintain, Suitable - Mini and Small Breed . 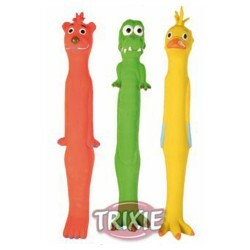 Product Information - Longies from Trixie square measure made up of latex and square measure some 30 cm long and squeak, what might be additional fun they are terribly sturdy and can take lots of actuation and or change of state therefore you will l be able to play tug of war or simply throw them around. they create a pleasant modification from a rubber ball however additional significantly it will keep your pet diverted and enjoying exercise, each vital factors for a healthy dog or puppy. This toy is nice for all ages except for puppies particularly will profit because it will facilitate strengthen their jaws and gums. Fun for all the family and particularly your pet a precise should purchase.